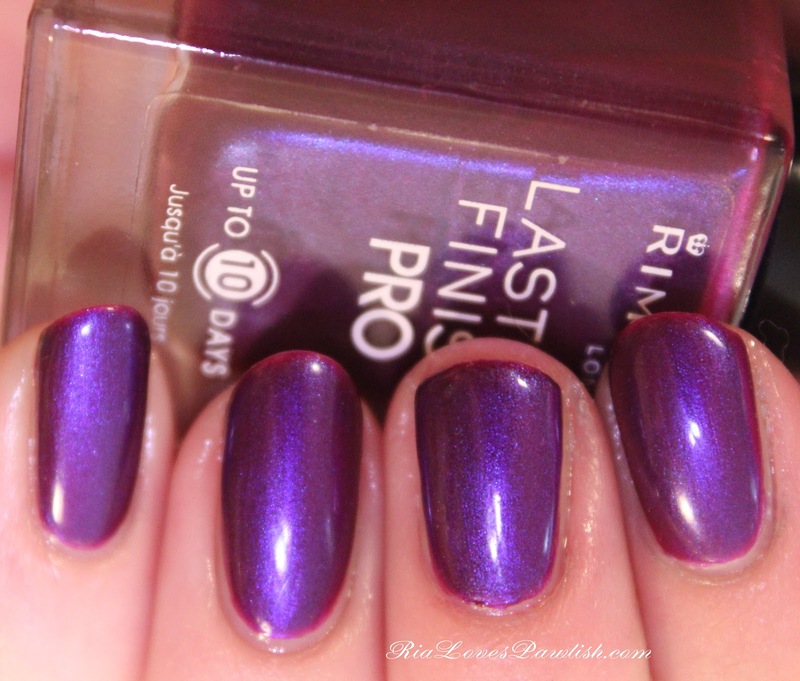 today's gem is a polish i found at Target on clearance yesterday... Rimmel London Lasting Finish Pro Violet Metal. it's a STUNNER. voilet metal is a great description, it's a cool toned plummy pearl with a light blue duochrome flash. 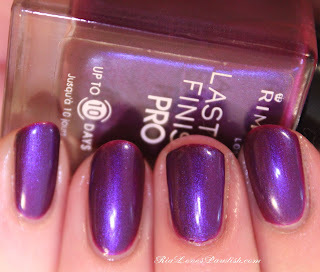 as always, i was hesitant to buy a drugstore polish, but after seeing Vampy Varnish's review here, i went for it. so far, i'm impressed! it has one of those nice fat brushes i love so much, right there i'm on board. i used three coats for full opacity, but it did want to bubble. after two coats of Seche Vite for extra shininess, all those nasty bubbles were gone! only bums was the SV really shrank the VM back... but left some behind so that there is a light plum line at tips. weird, huh? one coat Seche Base, three coats VM, two coats Seche Vite.